It’s just two days to Christmas and we are already feeling very Christmassy in Hong Kong! Everyone around me has already been in the “holiday mood” and busy arranging meet-ups / parties with friends and family, here I’ve discovered something you would love to do with your girls! 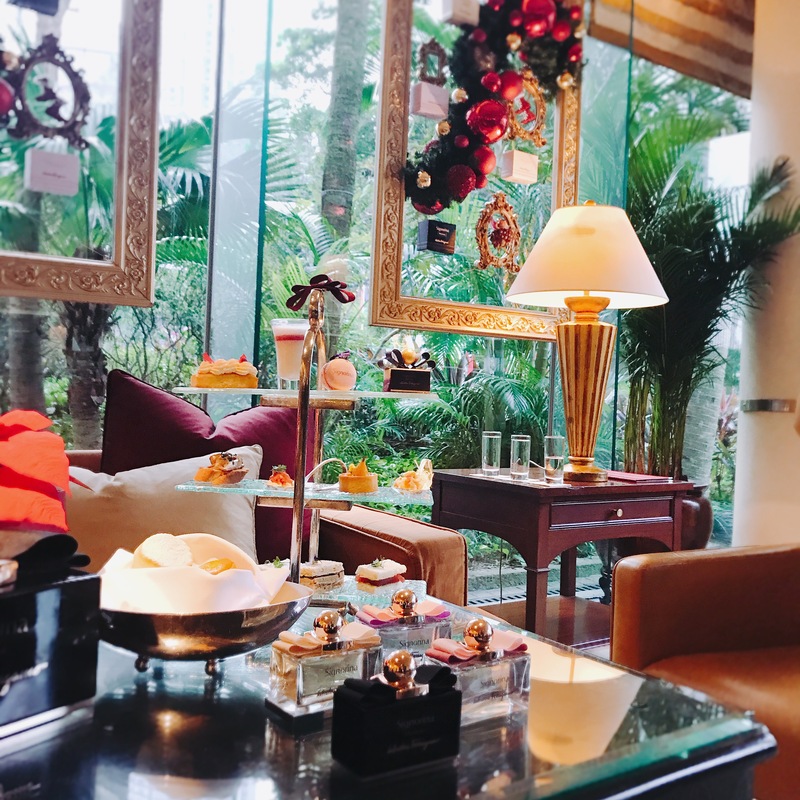 (Aside from Xmas shoppings) – SALVATORE FERRAGAMO FRAGRANCE INSPIRED AFTERNOON TEA. Afternoon tea has always been related to fashion. 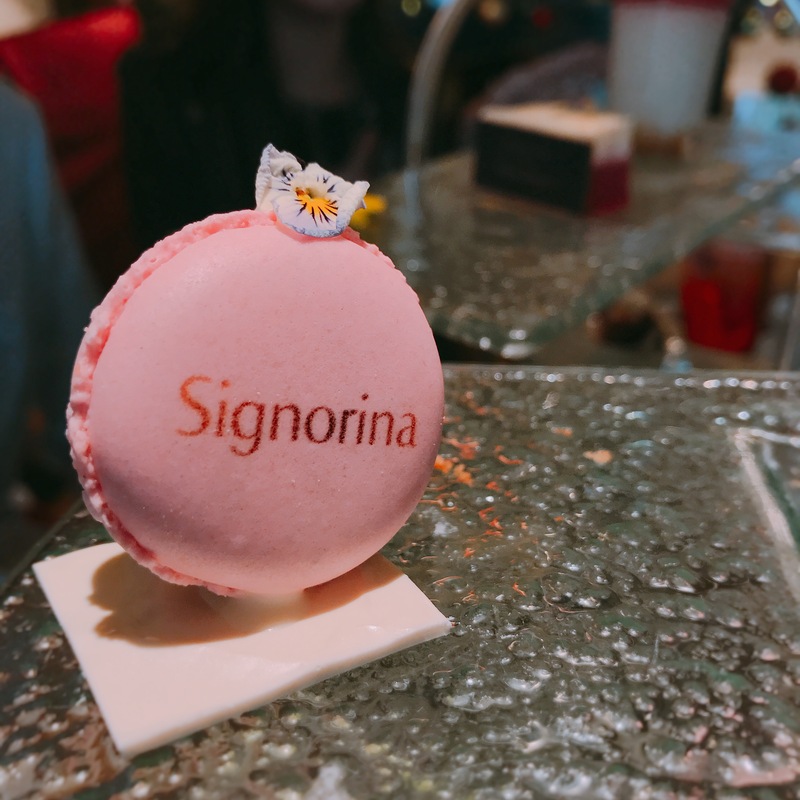 In this collaboration with the Signorina Fragrance, Conrad HK’s Lobby Lounge launched something more special: the set isn’t only instagram-friendly looking, the food also entice the nose – devised by Chef Luca de Berardinis from Nicholini’s, the savoury selections contain the rich gastronomic tradition of Florence (the origin of Salvatore Ferragamo,) and all the ingredients are carefully picked and made to resonate with the brand’s aesthetics. The Sandwiches – they’re made to match with the four Ferragamo fragrances, each of them is crafted nicely to reminiscent the distinguishing scent accordingly. My favorite one is the Signorina Eleganza inspired sandwich, it’s made with the “diamond of the kitchen” – Italian ham, where I have thoroughly seduced with the black truffle! The sweet sections – need not say they’re so good looking and I can’t stop taking pictures of them, they are just too photo worthy! 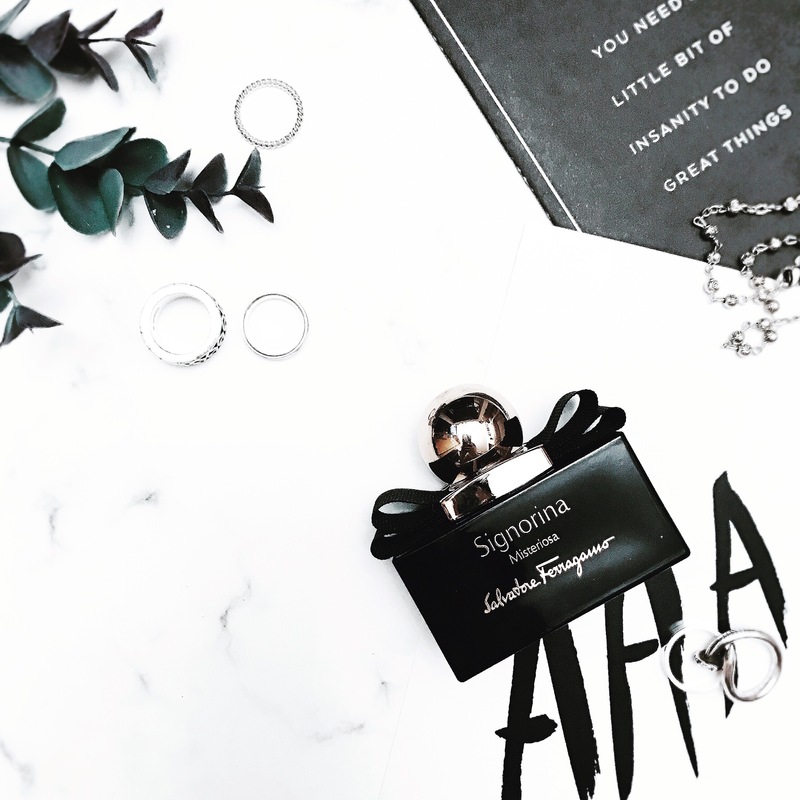 My favorite in the sweet sections is the Eleganza Tart with grapefruit, pear, almond, lychee and rose financier uncooked by Signorina Eau de Toilette, as I never liked the over-sweetened stuff and it’s made just right! At the end of the aromatic afternoon tea, each patron will receive a Salvatore Ferragamo “For him & her” fragrance miniature gift set to complete the extravaganza. Time available: 15/12/2016 – 19/2/2017 between Monday and Friday. Posted in Eat, Eateries, Events, Fashion, Food, Hong Kong, Lifestyle and tagged Afterrnoon Tea, dessert, Events, Food, foodies, Hong Kong eats. Bookmark the permalink.